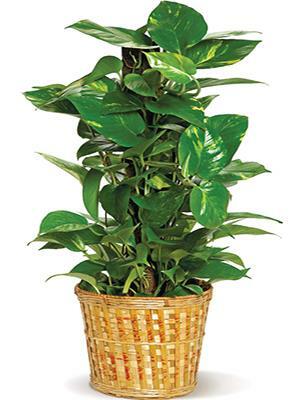 A glossy heart shape leaved pothos houseplant, presented in a basket. This easy to care for plant adds charm and beauty in any home or office. Order your own pothos plants in San Diego from Four Seasons Flowers!